The perfect combination of fruit and chocolate! 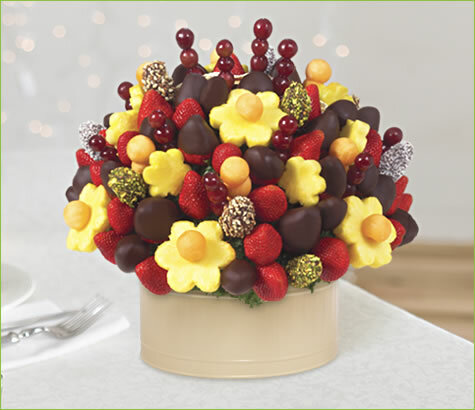 This mouth watering arrangement is filled with chocolate dipped dates with toppings, fresh strawberries, chocolate covered strawberries, pineapple daisies and grapes. Basket may vary.